Get a Sana pearl grey fabric four-drawer storage bed. Upgrade and get a handmade, orthopaedic mattress made from luxury, damask fabric. 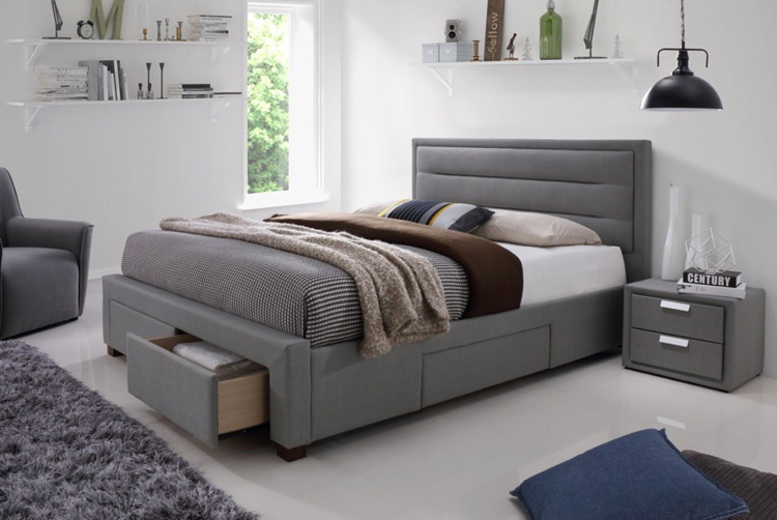 Features a high-standing, soft-feel headboard and four large storage drawers. Contemporary, handmade and hand-stitched design upholstered in grey fabric. Extra-strong base with support legs. Choose between double and king.